In Cyberspace, the land of web-based businesses where online marketing drives all types of sales, content is essential to generating leads and increasing customer conversions. In online commerce, your place of business is constructed from your content marketing effort – rather than a steel framework, fuzzy insulation and pane glass windows. Throwing up ads and articles, tacking on blogs and posting to social media willy-nilly fails to create an online space in which customers feel safe doing business. To build a successful online business with content marketing, you need blueprints (a content planning strategy), quality materials (content topic ideas) and the very best building tools (content planning tools). Implementing the right content planning tools, strategy, and plan can mean the difference between being like a child constructing a clubhouse or an architect designing a skyscraper. Attempting to build a complex structure without a blueprint puts you at risk of making mistakes, like forgetting the plumbing or building the second floor twice. A content calendar, or schedule, is essential to the success of every content marketing campaign. When you have a written plan, you can set goals for your marketing, take strategic steps to achieve those goals and measure how well you did at the end of a campaign. You can then add additional information to your content calendar and strategy, such as topics, search engine optimization, titles, authors and even meta tags. When one person or even a team of marketing professionals are responsible for content generation in a business, it can be difficult to constantly think up new topics for content or fresh takes on your company’s message. You can improve your team’s ability to generate content with a few collaborative brainstorming techniques. You can also let data scoured from search engines inform the topics your content covers. Research popular keywords and keyword phrases relevant to your industry and consider what questions users have been asking. Let this information inform the topics of your upcoming marketing content campaigns. Google AdWords – This classic keyword generator pulls keywords directly from Google’s search data. AdWord & SEO Keyword Permutation Generator – This generator will help you come up with new keywords. Google Correlate – Great for searching new keywords, this generator is also an easy way to find fresh content ideas related to your industry. Answer the Public – This question generator lets you search a simple term to find out what questions the public asks about it. By answering popular questions, you are guaranteed to create content your audience finds relevant. BuzzSumo – See which topics and what content performs best for you and your industry competitors. Google Docs – Free and easy to design and customize your own content calendar. WordPress Editorial Calendar – WordPress also provides free content calendar templates. Hootsuite – Automates scheduling and posting to social media. The platform offers a free version that can be scaled (with an incremental fee) to meet your company’s needs. These metrics are a great way to measure your content marketing efforts. 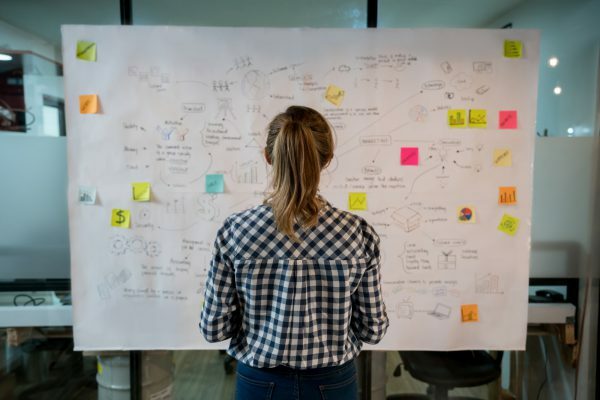 The methods you use to measure the success of your content strategy, however, might vary depending on the goals you set for your content marketing efforts when you first outline your marketing campaign. Regardless of your content’s original intent, measuring lots of metrics is always a good idea. Your content might surprise you by generating a return on investment in ways you never anticipated. If you build your content strategy right – with a good plan, strong materials and the right tools – your online presence will tower over your competition.